On February 23rd, brush off those snowflakes, shake off the winter cobwebs, and come warm up with sweet sounds of the summer. 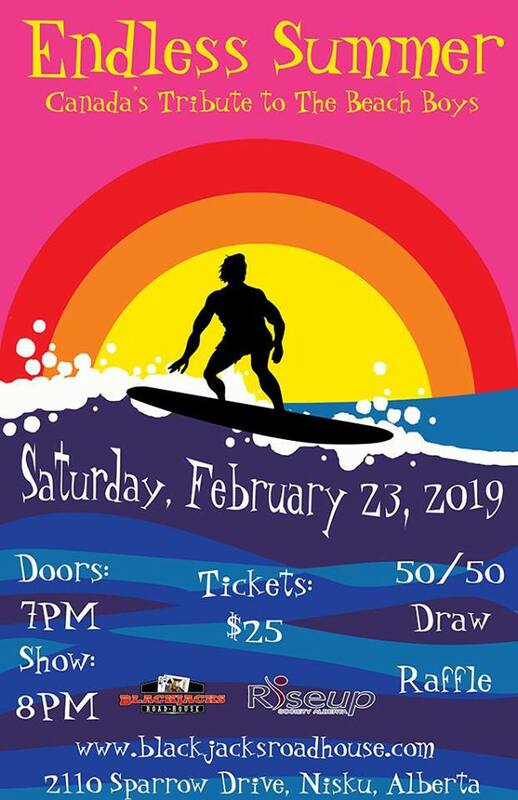 Blackjacks Roadhouse & Riseup Society Alberta present Canada’s tribute to The Beach Boys… Endless Summer. These boys will help you forget about the snow on the ground, while you imagine the sand between your toes and surfers gliding across the ocean waves. So, come get out of the cold for a night to help out a phenomenal organization, and listen to some of the best music ever made.